It is essential consists of a probe with two light emitting diodes and a photodetector and a microprocessor. Pulse oximetry is a standard non-invasive method for monitoring of arterial blood O2 saturation at the level of arterioles using Pulse oximeter. It is a simple, continuous measurement of oxygen saturation, accurate, dependable, convenient and rapid method. Percentage of hemoglobin, the protein in blood that carries oxygen. Acceptable normal ranges for patients 95% to 99 % of saturation. The main purpose of the pulse Oximetry is to monitor the oxygenation. It provides the warning of the hypoxemia. It useful in oxygen administration. A microprocessor analyses the signal. One LED red 660 nm wavelength and infrared 940 nm wavelength. 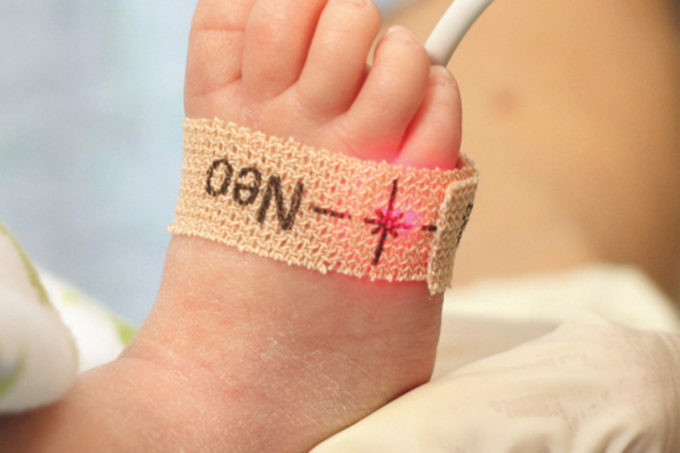 A light emitting diode that measures the absorption of a specific wavelength of light relative to the ratio of oxyhemoglobin and reduced hemoglobin by the sensor placed on the patient site. Oxygenated hemoglobin permits more infrared light and passes more red light to pass. Deoxygenated hemoglobin permits more infrared light to tissues and takes more red light. For spot checks or continuous monitoring; ideal for hospital, ambulatory, home or EMS. For spot checks or continuous monitoring; ideal for hospitals, medical facilities, homecare, and subacute settings. used in operation theatre, intensive care units, emergency unit, postoperative area etc. Wireless, ideal for daily activity monitoring. Neonate, pediatric, adult; reusable and single-patient-use disposable varieties for Nonin handheld, tabletop, and wrist-worn pulse oximeter. Vigorous rubbing of fingertip may improve the circulation temporarily. Excessive movement and Malpositioning of the probe may give a false result, it better to tape or wrap the sensor with the patients’ site of measurement. Pressure on the sensor may cause inaccuracy. Nail polish can alter the spectra of emitted light. In site nail polish is to be removed or avoid that site because, it measures the changing absorbance at each of the wavelengths, allowing it to determine the absorbances due to the pulsing arterial blood. The disadvantage of pulse oximetry. Using of electrocautery, hypothermia, hypotension, low hematocrit, pigmented skin, poor perfusion, vasoconstriction may cause the failure of measurement may cause high risk to patients. It only gives the patients oxygenation, it does not give any indication of patient ability to eliminate the carbon dioxide. Inaccurate readings may lead to carbon dioxide poisoning presence of dyes and methemoglobinemia. Vasodilatation and pooling of venous blood in the head due to compromised venous return to the heart, as occurs with congenital cyanotic heart disease patients. In patients in the Trendelenburg position, can cause a combination of arterial and venous pulsations in the forehead region and lead to spurious SpO2 (Saturation of peripheral oxygen) results. Alarm limits are set for a low saturation value. The set alarm will be higher and low pulse rates values on the console.